In the late 1800s and early 1900s, limiting access to citizenship became a key tool used to keep immigrants from voting. As the number of middle-class “settler” immigrants decreased and there was less need to encourage settlement in the western United States, states that once allowed non-citizens to vote decided to take away that privilege. All states changed their laws to ban non-citizens from voting by 1926. Starting in the 1880s, federal immigration laws began to limit immigration numbers and citizenship eligibility for targeted immigrant communities of specific ethnicities. This was especially true in the western United States, where Chinese immigration was restricted in order to limit the potentially very large voting block of naturalized Chinese citizens. When immigrants did become citizens, many states set up obstacles to keep them from voting. Most of these obstacles were justified as anti-fraud precautions. Some states required new citizens to present their naturalization papers to authorities before registering or voting. This was a significant barrier for voters who had lost their papers or were not aware of the requirement. Other laws prevented naturalized citizens from voting unless they had become citizens far in advance of a specific election. Questions about immigrant voting rights played a major role in the politics of the 19th and early 20th Century. By the 1920s, these questions had mostly been resolved. Immigrants and their children gained the right to vote. What changed? After World War I, immigration to the United States slowed dramatically, and earlier immigrants and their children assimilated into mainstream American society. 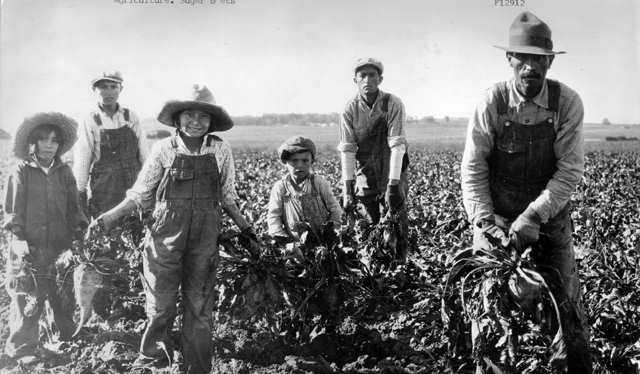 The exception was one large group of foreign-born people: Mexicans working in agriculture in the Southwest. But since most of these people kept their Mexican citizenship, they were not eligible to vote. By the time immigration rates began to rise again in the 1970s, suffrage laws in the United States had changed greatly, thanks in part to the battles fought by African Americans and women for voting rights. Tools of suppression that targeted immigrants in the 1800s and early 1900s were now illegal. Because of the Voting Rights Act of 1965 and its Amendments in 1972, states could no longer use literacy tests, English-only ballots, waiting periods or special requirements to keep immigrants from voting. Immigrant voters today face different challenges in the continuing fight for voting rights.